Great quality and service! Will definitely reach out to Ben again in the future! 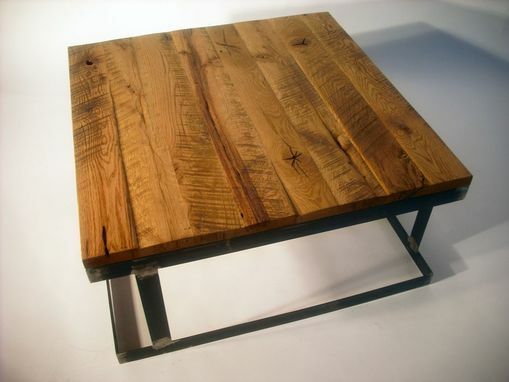 This coffee table is made from rough salvaged wood reclaimed from fabrication facility that used the wood for blocking of raw material during shipping. 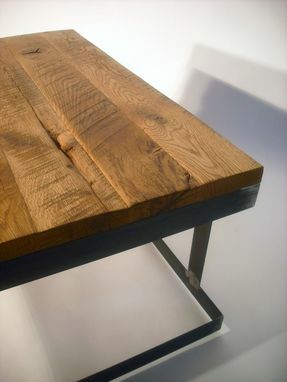 The wood has been cleaned up so it is easy to use and clean, but still has a lot of character to it. There are a couple knots and cracks that go through the entire top. The wood has been stained to bring out the texture and saw marks. 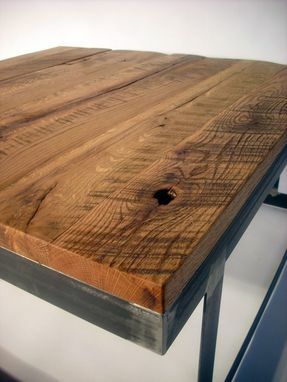 The metal on the base retains its mill finish and where it has been welded the metal has been ground smooth. The wood has been sealed with Danish oil and wax, and the metal has been sealed with a clear coat. 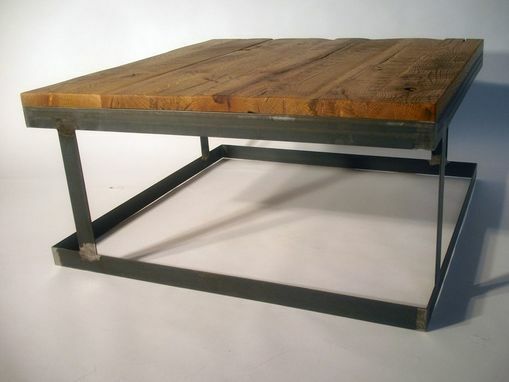 The dimensions of the table are 36" long, 36" wide, and 18" tall. 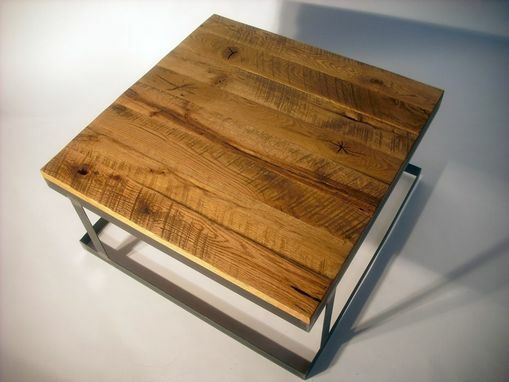 The oak top is 1 1/4" thick and the base is made from 2" wide flat bar. Every maker has a story. Be a part of Bdagitz Furniture's story by placing an order, leaving a review, and seeing your review appear here.